In this week's The Willowbee Tree story, “Fairy Tales,” Clancy, who loves fairy tales, wonders if there are real fairy tale castles, knights, and magical swords. When the Willow Tree takes him to Neuschwanstein Castle in Germany, he has a chance to become a brave knight with a magical sword—just like the ones in his favorite stories. The history of apple strudel, or Apfelstrudel in German, is a bit of an adventure tale in itself. The idea for the multi-layered dough that forms the basis of strudel probably began in Turkey or Greece, where chefs tried to out do each other by making thinner and thinner pastry. During the Ottoman-Habsburg wars of the 15th century, the dough was brought with the invading army. 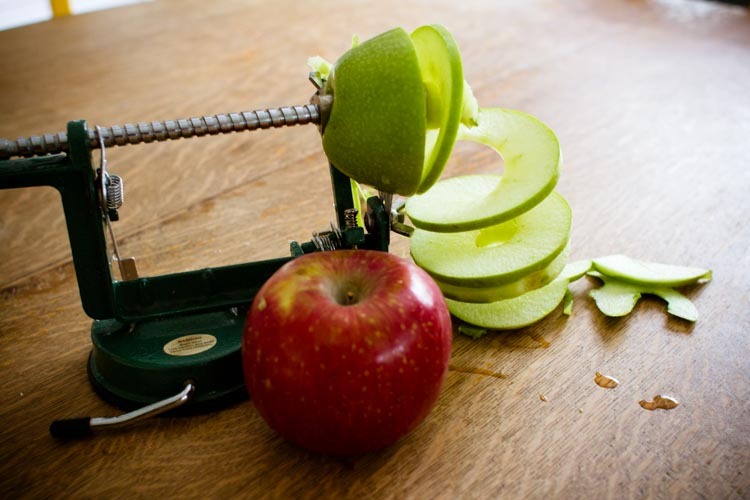 There it was eaten as a way to stretch other foods into a meal—including the locally plentiful apples — and the rest is history. Traditional strudel is rolled out to be “skin thin” or thin enough that you can read a newspaper through it. 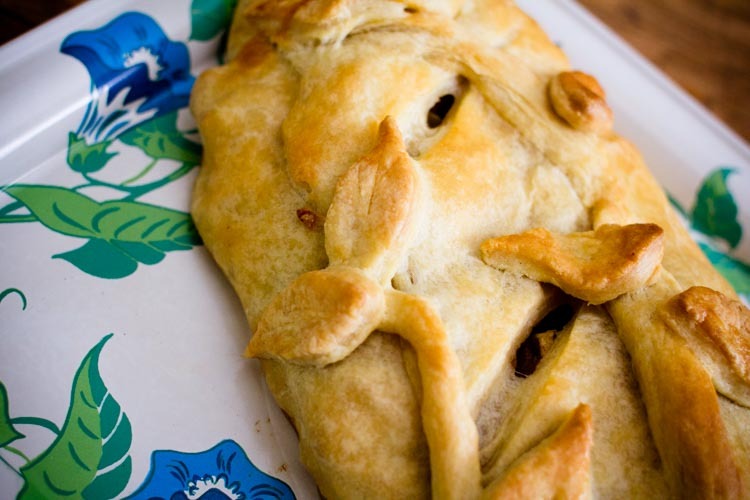 While that may be a goal to aspire to, this mixture of modern puff pastry dough, apples, and warm spices will be delicious even if your dough isn't transparent. 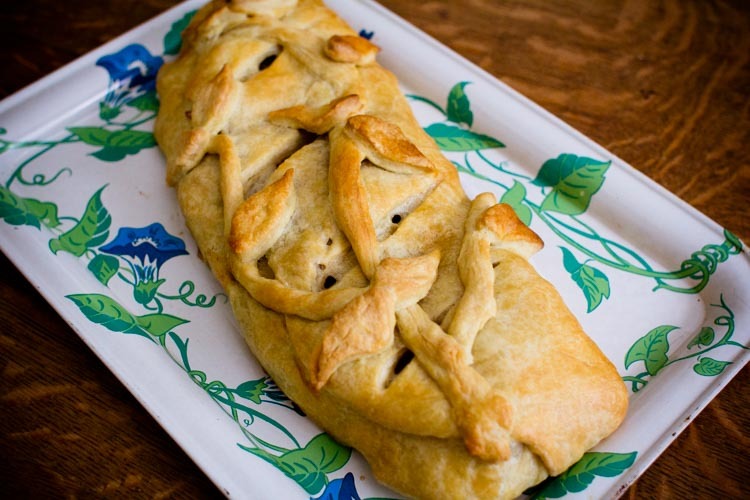 To add a bit of whimsy befitting a German fairy tale, I added vines and leaves to the top of my strudel. It's optional, of course, but fun. Dig out your favorite cookie cutters and see where your imagination leads you. 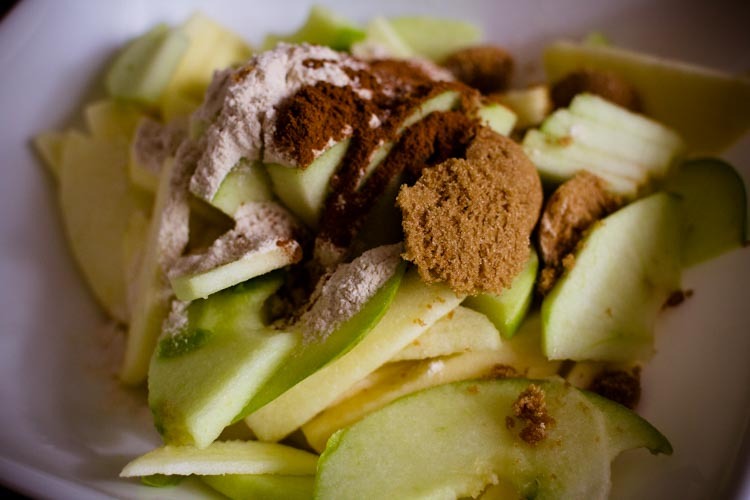 Peel, core, and thinly slice the apples, then quickly toss them together with the lemon juice, brown sugar, flour, and pumpkin pie spice. Set aside. On a large work surface, spread out a clean, non-fuzzy kitchen towel. Dust the towel liberally with flour, then roll out 1 sheet of the puff pastry dough, about as thin as you can possibly make it. 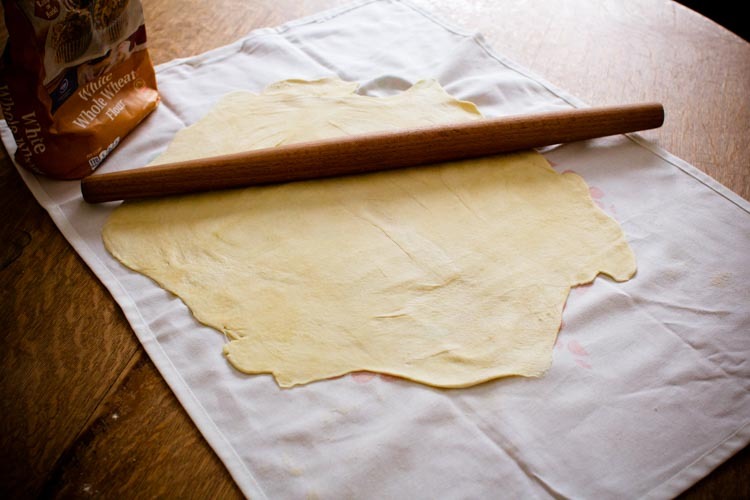 Lay the apple mixture on one edge of the dough, then use the towel to help roll the strudel up with the filling inside. Again using the towel to help, transfer the strudel to a parchment-lined bake sheet. Use a sharp knife to slice four vents in the top. In a small bowl, whisk the egg together with a few tablespoons of water. 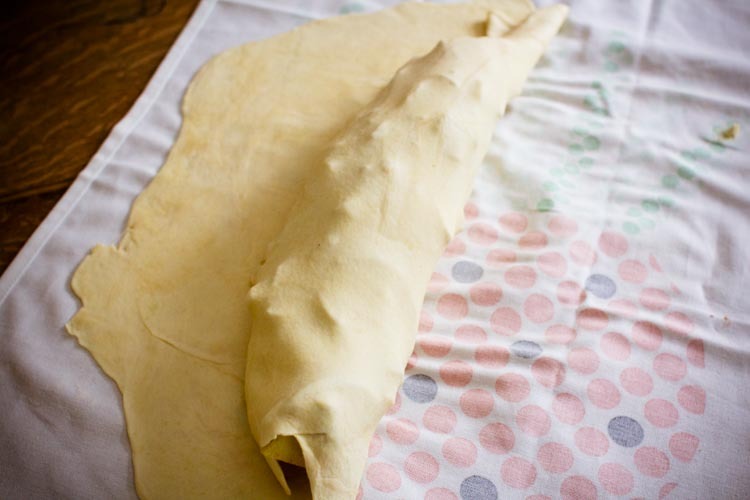 Roll the second sheet of puff pastry out onto a floured surface, but don't worry about getting it nearly as thin. Use cookie cutters—or whatever else you can imagine—to make shapes in the dough,then use the egg wash to attach them to the strudel. Try not to cover the vents as much as you can, and finish the whole pastry off with one last, good coating of egg wash.
Bake the strudel for about 35 minutes, or until the top is golden. While apple strudel is delicious on its own, feel free to top it off with some whipped cream or ice cream.